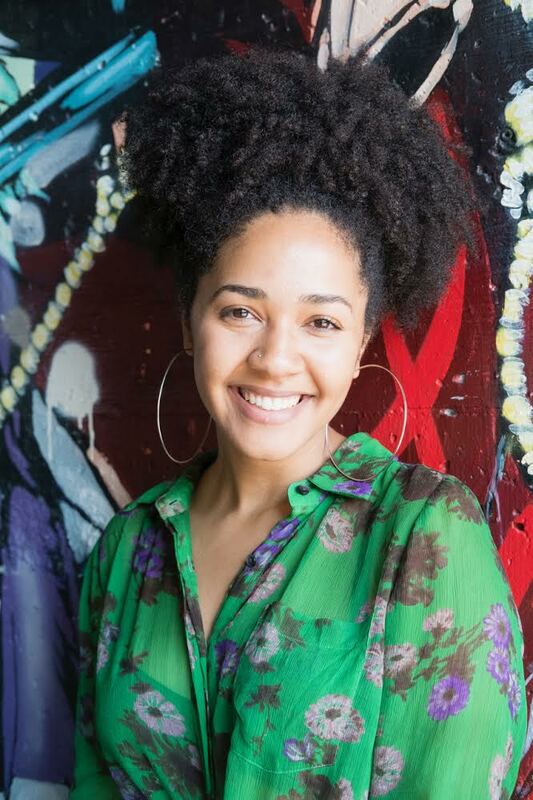 Stephanie Castro is a Afro-Latina Dominican graphic designer and certified makeup artist from Washington Heights, NYC. She uses her life experiences to create digital works of art; such as the portraits on her website. As a multitalented artist Stephanie has also expressed her love of making everyone feel beautiful with the power of makeup. Stephanie believes expressing yourself creatively is the best way to live a colorful and balanced lifestyle. Breena Nuñez is an Afro Guatemalan/Salvadoran cartoonist born and raised in the Bay Area of California. 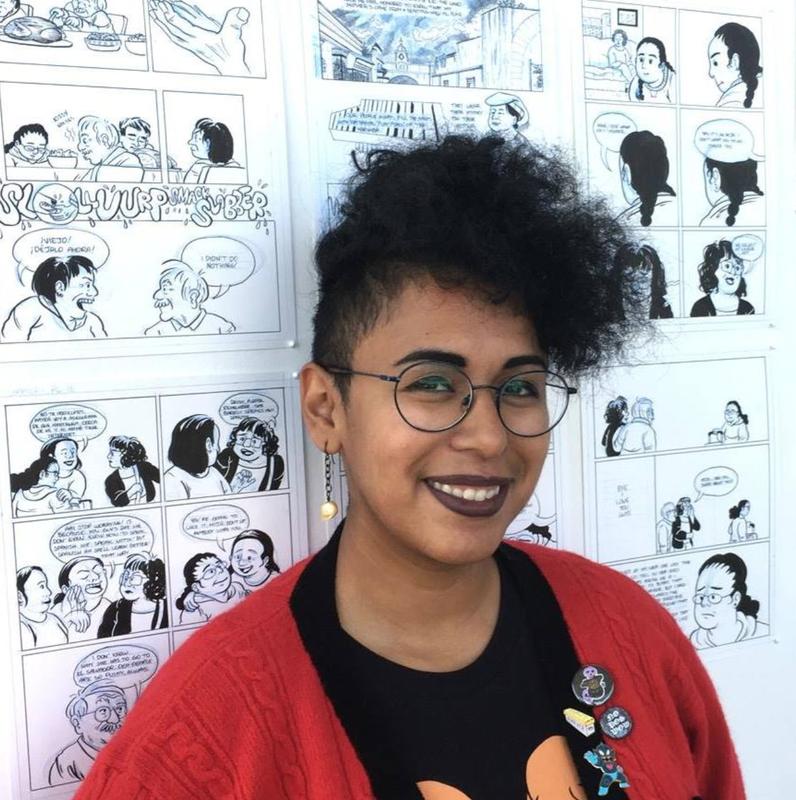 She creates comics and zines that celebrate queerness, blackness, and indigeneity within the Central American diaspora. A majority of her comics are based on her personal experiences with understanding what it means to be Afrolatinx of Central American descent as well as a nonbinary womxn. 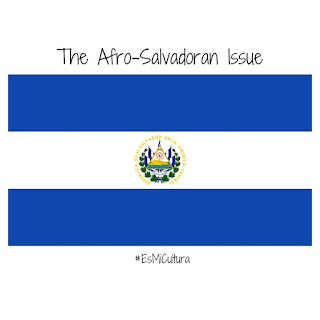 She is currently working on a graphic memoir based on her first time traveling to El Salvador as a teenager as part of her thesis for the MFA in Comics program at California College of the Arts. Meanwhile the cartoonist also self-publishes other autobiographical and humorous comics in order to share them across the United States at a small press expo or zine fest. The women featured in this issue share their experiences of how they came to learn of their African lineage, while their country and culture continues to deny the past existence and contributions of Black people. 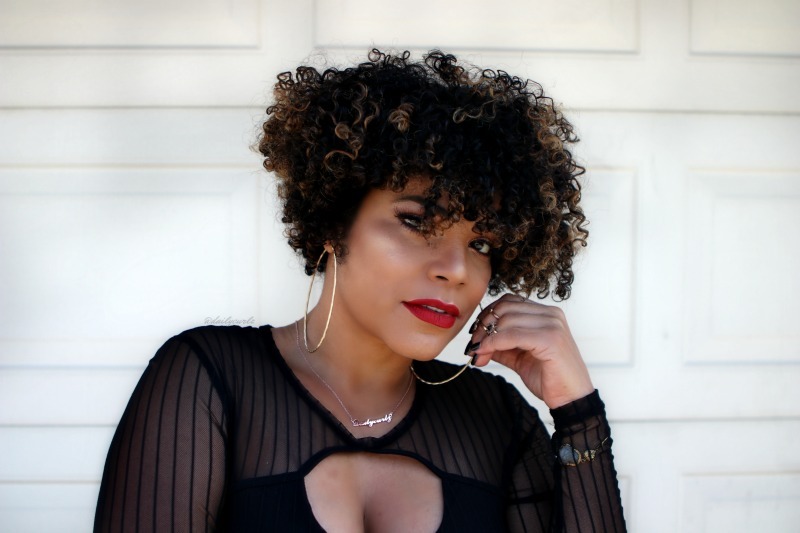 Cat Lantigua is a Dominican-American writer and podcaster committed to empowering women and enabling millennial greatness. Through her podcast Chats with Cat, she provides an honest peek into her journey of manifesting a fulfilling and purposeful life in hopes of inspiring her fellow millennials to embark on their own course of self-exploration. 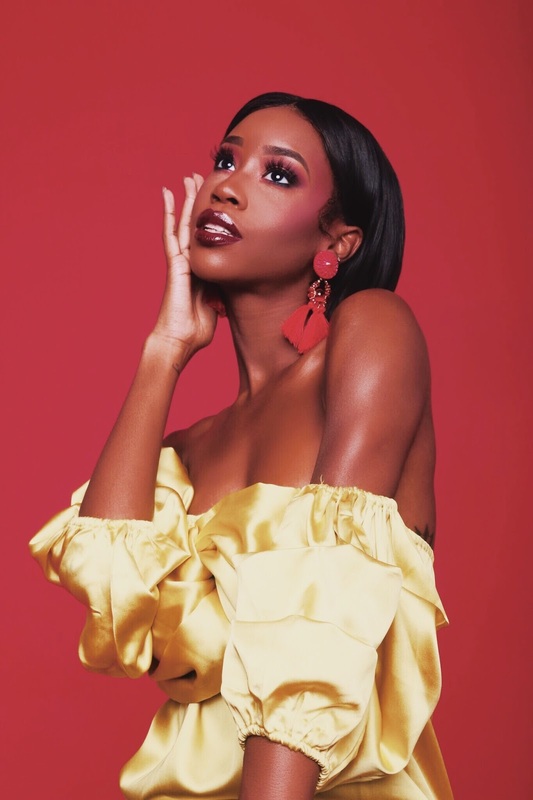 She discusses topics related to relationships, self-improvement, and interviews some of the world's most promising young creatives on their own journey's. She also shares her perspectives and personal experiences on her blog as a means of sparing others unnecessary headaches, and to spark interesting conversations! Cat believes the most authentic way of building true connections and invoking positive change is by being vulnerable in sharing one's unique perspectives. My name is Shalida Ann I'm 26 I'm a fiction writer, lifestyle blogger, and personal stylist. I was born and raised in Cleveland, Ohio. I attended university in Pittsburgh, Pennsylvania at Point Park University where I studied journalism. The bottom of my spine never developed so I've been in a wheelchair since I was 3. I was raised by my mother she had me when she was 17. Because of her I grew up being very independent and always had goals. I love being Afro-Latina, I didn't grow up with my Puerto Rican culture so I had to figure everything out on my own as I got older. I consider myself very diverse, not only am I Afro-Latina and disabled, I'm also bisexual. My goal is to give more representation for the bisexual community. I work as personal stylist but I'm also a writer. I write short stories, mainly horror. I have a YouTube channel and a blog both are lifestyle where I share my style and daily life events through weekly vlogs. This year my sister and I are started a podcast called Two Wick Sisters. We discuss being black in America. I'm very proud of what we are doing. Sandra Garcia Lowery is a Sales and Marketing professional with over 10 years of industry experience, during 4 of which she managed her own event planning agency simultaneously. Today, she manages her own Marketing Agency, Encounter Marketing & Public Relations (EMPR) where develops and executes strategies and partnerships to help elevate the presence of small to mid-size businesses and non-profits. Prior to becoming a full-time entrepreneur, Sandra was part of the Marketing Solutions team at Clear Channel Outdoor where she helped with the strategic development of marketing programs that merchandised data driven products for use by sales to grow revenue. Before Clear Channel, she held a Product Marketing and Digital role at Time Warner Cable Media where she implemented digital strategies and go-to-market plans that differentiated the brand from the competition as a Product Marketing expert for all digital products: Online, Mobile, Social, Search, Addressable, and Video On Demand. Prior to returning to TWC Media, she spent time at PEOPLE.com where she worked on long-term marketing plans for advertisers, integrated deals with PEOPLE Magazine and PEOPLE Stylewatch Magazine. Before PEOPLE.com, she worked at CNNMoney.com, the financial website for CNN and the online destination for FORTUNE Magazine and Money Magazine. 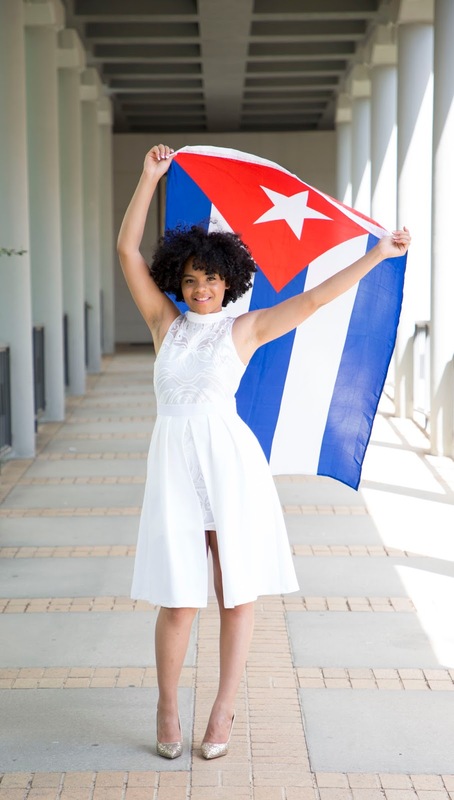 Identifying as an Afro-Latina from Honduras and cognizant of the group’s underrepresentation and the impact it had on her self-identification process growing up, Sandra birthed a passion project, Afro-LatinaBeauty.com. 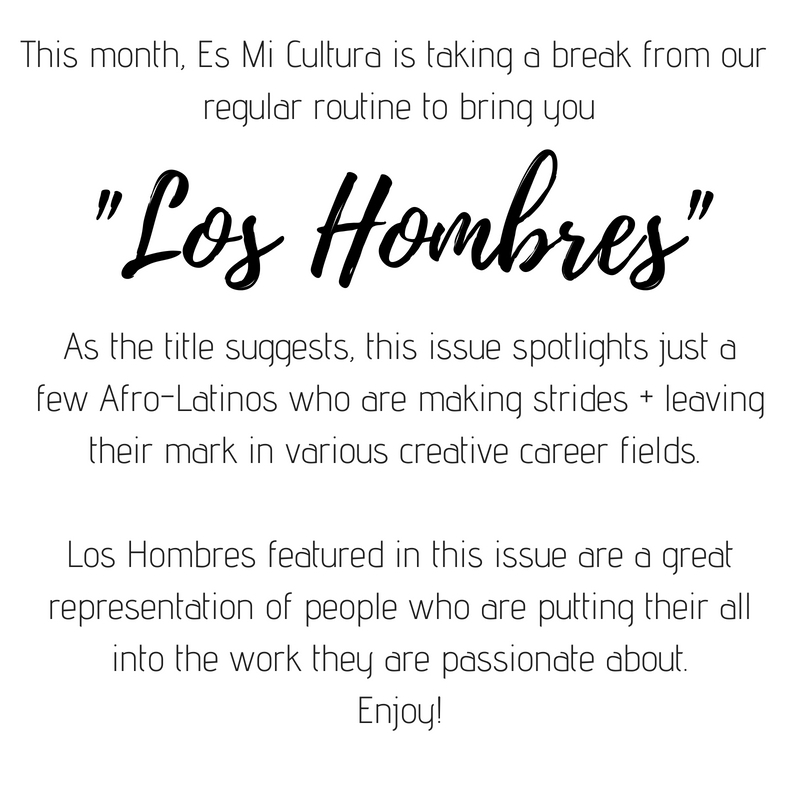 An online destination for stories of other Afro-Latinas, and a place to see and hear from others sharing the same intercultural experience. Part of a genre of independent women who hold their own in the music game, Alexis Ayaana has stepped into those shoes with ease. Although laid back and soft spoken, at the young age of 22, she has a stature and presence that commands respect. Born and raised in Atlanta, GA, Alexis is of Latina-West Indian heritage. Her parents hail from the countries of Panama and Barbados. 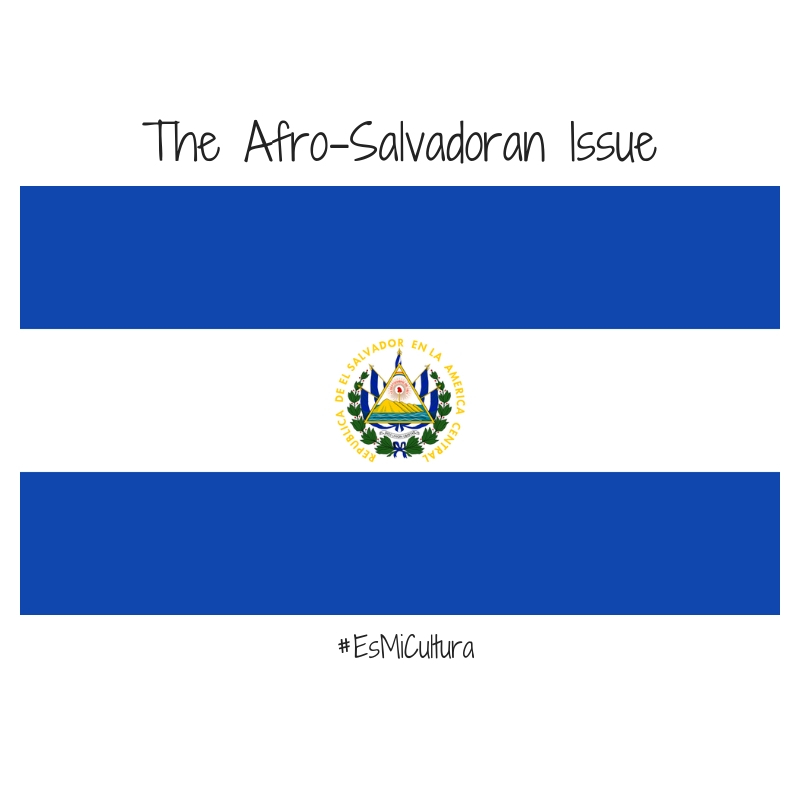 She is a cultural enthusiast seeking to bring some of her diversity to her music. Alexis takes her craft as an artist very seriously, singing since the age of seven. 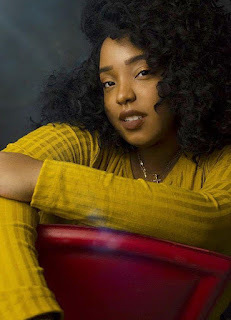 She graduated from Tri-Cities Performing Arts High School in College Park, GA, and further honed her musical artistry under the guidance of Jan Smith and Marvelous "Marvin" McIntyre. As evidenced in her breathtaking photos, Alexis is also formally trained as a model and looks forward to partnering with lifestyle brands. Our names are Lina and Estephanie and we are two Dominican Afro-Latinx podcasters. We were both born and raised in the Bronx and have been friends since we were 10-years-old. Lina is currently living in Philadelphia where she is attending law school and Estephanie is a Bronx based artist and aspiring graphic novelist. 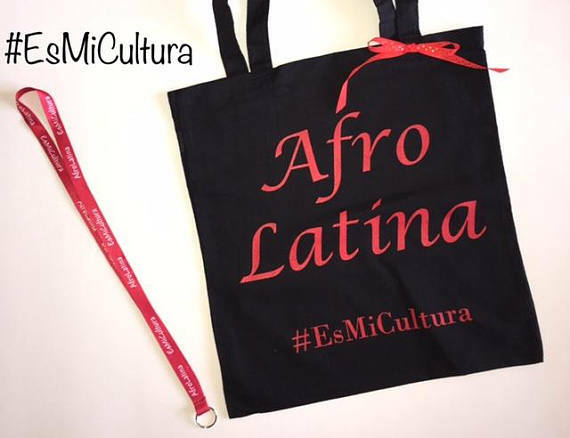 As Afro-Latinx people, we are erased in the media and people often act like we don’t exist. We use our podcast to elevate and bring awareness to our experiences as Black Latinx womxn. 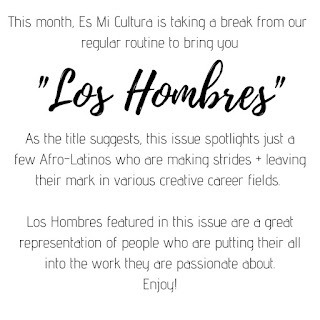 Due to the pervasive Anti-Blackness in our Latinx communities, it can be very hard to embrace our Black identities. We want to challenge ourselves and our communities to know that Black is beautiful and universal. In 2015 we decided there was a huge lack of representation for Black Latinx voices in the podcasting world and we created Bag Ladiez! 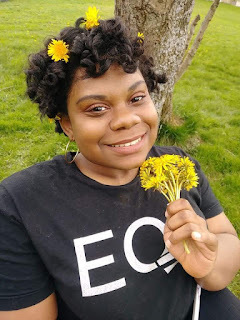 Daily Baez from Dailycurlz is a freelance writer and a content creator. Her natural casual lifestyle fuses the way to love herself and helps others do the same. 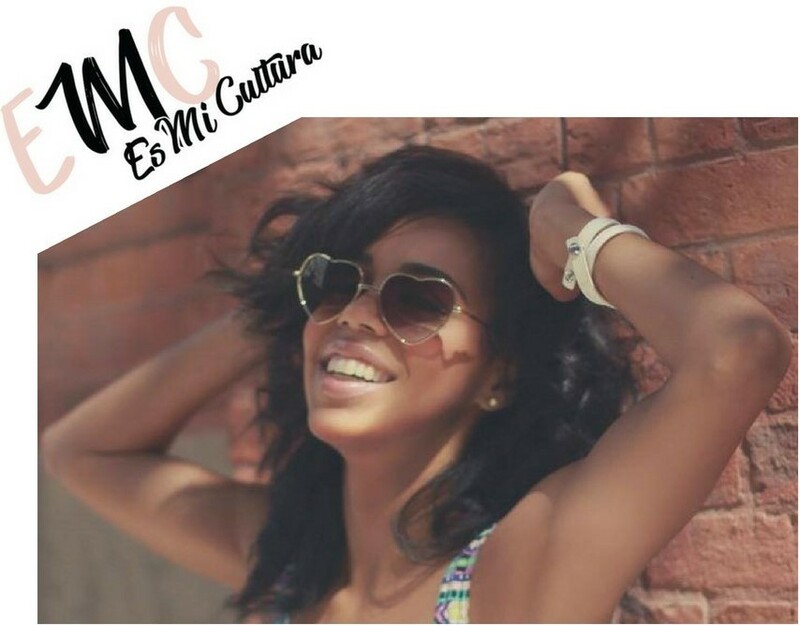 Born and raised in Dominican Republic, and based in Los Angeles, her bilingual versatility is credited to her upbringing and appreciation for new experiences. "Running and maintaining my site has been a wonderful way to allow me to pursue my interest in blogging. This came when I stopped using relaxer on my hair and I started to post a lot about hair on my personal Facebook page. One friend told me that he should unfriend me, because all I do is talk about hair. That night I opened a Facebook page and since I had so much to say, I started my blog on April 3, 2011. My blog is a digital version of a scrapbook, chronicling my journey into a healthier me, my lifestyle with a curly twists, and my mixed heritage." 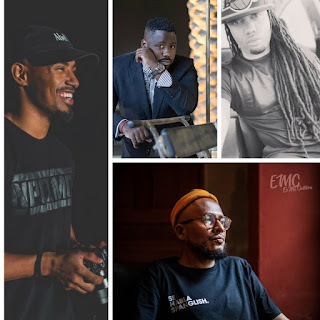 As Afro descendants it's important to acknowledge and celebrate everyone from the diaspora who has made significant contributions to the world as we know it. 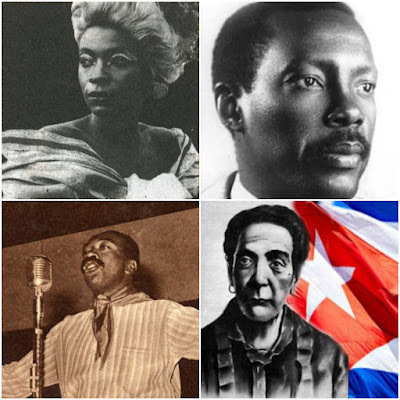 In honor of Black History Month, Es Mi Cultura shines a light on four prominent Afro-Latinos who impacted or changed the course of history. "My name is Suyent Rodriguez and I am a Black Latina. I was born in La Habana, Cuba and immigrated with my parents to Albuquerque, NM in 2005. My parents are small business owners—they own a beauty salon in Albuquerque where they work. I studied Psychology and Africana Studies at the University of New Mexico where I earned a Bachelor of Arts in May of 2017. I am currently pursuing a Master of Arts in Pan African Studies at Syracuse University in Syracuse, NY. I am static to be conducting original research about the African diaspora this summer. I am also working on two socially conscious projects: building ways to promote cultural exchange between Afro America and Afro Cuba, and promoting the embracing of natural hair in the island."